It’s a 17-digit code that some car owners don’t even know exists. 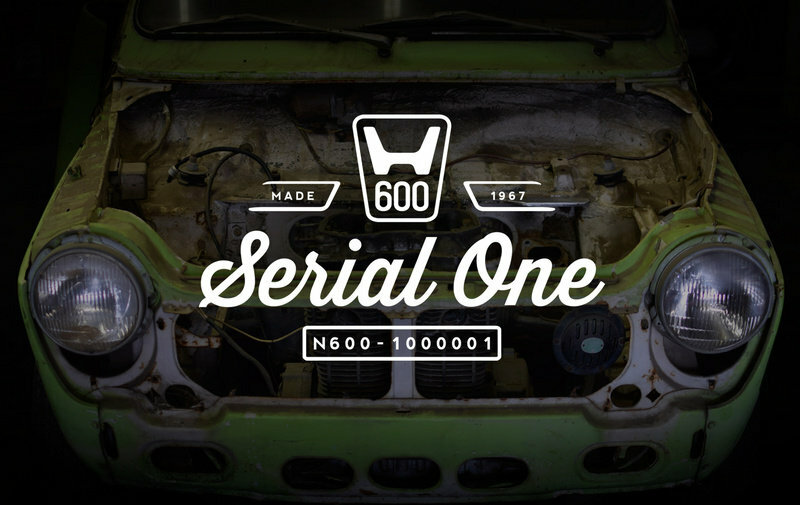 It’s called the Vehicle Identification Number and it’s arguably one of the most important things about any car. At the very least, it’s important enough that car owners should have a correct copy of the number in the event of recalls, registrations, warranty claims, thefts, and insurance coverages. So what exactly is a VIN? The technical definition is that it’s the auto equivalent of a fingerprint. It’s the ultimate identifier of a specific car because no two vehicles in operation carry the same VIN. In addition to its “fingerprint-like” nature, the VIN also provides a treasure trove of information, including where the car was built and what kind of engine it uses. As long as a car owner knows how to read a VIN, he can find out a lot about the car even if he doesn’t actually see it in person. That said, it’s important to note that the contents of a VIN could vary depending on the automaker. There are some all-encompassing identifiers and the sequence of digits and letters typically signify the same thing. It’s the use of the digits and letters that could be different. It’s admittedly a little confusing at first, so that’s where we come into the picture. We’re here to provide a quick crash course on how to properly identify a VIN and what all those letters and numbers mean. Once it becomes clearer, that seemingly innocuous 17-digit alphanumeric code will carry a totally different and far more important meaning. When you see the VIN, it’s important to remember that the numbers and letters that make up the 17-digit code weren’t just thrown together randomly. They have a sequence that can be divided into three different groups. The first group of digits is called the World Manufacturer Identifier. This typically involves the the first three letters and numbers of the VIN. To be more specific, the first letter or number is attributed to what region a specific car is made. The numbers 1, 2, 3, 4, and 5, for example indicate that the car was made in North America. 1, 4, 5, are from the U.S., while 2 is from Canada, and 3 is from Mexico. Letters are also used in that position with some of the most notable being “J” for Japan, “W” for Germany, and “S” for Great Britain. Likewise, letters “A” to “H” typically constitute cars made in Africa while “J” to “R” are for cars made in Asia. The second number or letter denotes the manufacturer of the said vehicle. So if it’s a General Motors model, you’re likely to see the letter “G” in there. Same thing with a “T” for Toyota, “C” for Chrysler and so on. It’s worth noting that not every first letter of a given manufacturer is used in the VIN. Subaru, for example, uses “F” to denote its parent company, Fuji Heavy Industries. The third number or letter denotes what kind of car it is. This is where things become all sorts of complicated because each automaker uses a different set of codes for its vehicles. It’s more like a security code that helps determine the authenticity of the VIN number. 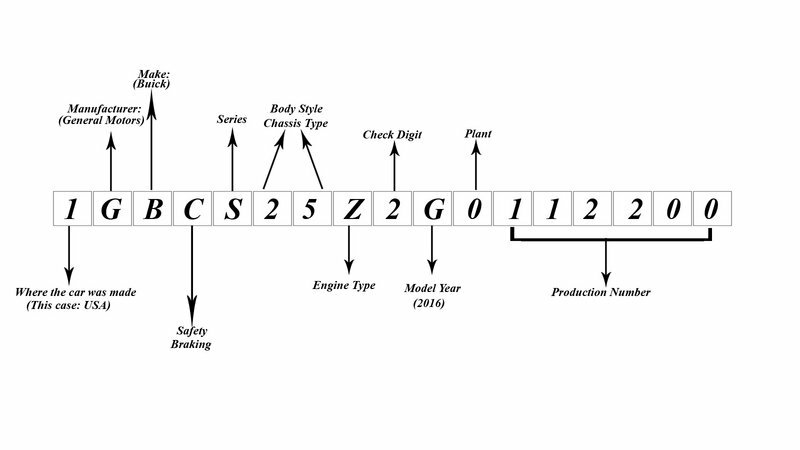 Once you’ve moved past the first three numbers and letters of the VIN, positions four through eight is traditionally called the Vehicle Descriptor Section. This is where you get information on the vehicle model, engine code, body type, and in some cases, the safety equipment contained in the car. Position nine of the VIN is the vehicle security code, or as it’s also known, the “check digit” number. This is the only part of the VIN that has nothing to do with the car itself. It’s more like a security code that helps determine the authenticity of the VIN number. The third and last section of the VIN is called the Vehicle Identifier Section. This covers positions 10 through 17 of the overall VIN and tells you specifics about the cars, including the assembly plant where it was built, the extra options it has, and the unique serial number that identifies it to a specific model of an automaker. Position 10, in particular, is unique in its own right because it tells the model year of the car using a combination of letters and numbers to denote the year it was produced. For example, the letter “G” means that the model was built in 2016. The letters follow the years chronologically, one letter for each year, with the cycle repeating back to “A” after 30 years. This last happened in 2010, hence why 2016 is denoted by “G.” Model years 2001 through 2009 were denoted by the numbers 1 through 9. The letters “I,” “O,” “Q,” “Z,” and the number “0” have all been taken out of this specific identifier as a way to eliminate confusion with similar digits. Where can I find the VIN of my car? There are a number of places where you can look to find the VIN of your car. The most common location is at the corner of the dashboard where it meets the windshield on the driver’s side. It can also be found at the door post of the driver’s side door or at the back of the engine bay, which would require you to open the hood. Lastly, it’s likely on a sticker inside the glove box. When does the VIN become important? While you can go through an entire car’s life without knowing it’s VIN, there are specific circumstances where the number becomes very important. One is when you need to learn more about its pedigree or in times when you need replacement parts for your car. In most cases, vehicle parts are specific to certain VINs, so it’s important to know whether such parts are compatible to the model. Another reason is when your car is subject to registration with the proper authorities or when you need to file a police report in the event your car gets stolen. It’s not the kind of situation you want to find yourself in, but it’s better to be prepared for all possible scenarios. In the event you’re the one who’s buying a second-hand car, the VIN is very important in obtaining a vehicle history report for the car. That’s the equivalent of doing your due diligence on a car to see if it’s been subjected to past repairs, been reported stolen, or has a salvage title.